The American people have become the unwitting victims of their own information warriors. With clockwork military precision, the American people have become the unwitting victims of their own information warriors. The dazzling effects of this war’s weaponry leave US citizens bewildered by wilful misrepresentations of facts. While US propaganda surges are ostensibly designed to deceive America’s enemies, far too frequently they boomerang back, plunging their deadly roots deep down into the American psyche. Under Donald Rumsfeld, strategic communications campaigns based on outmoded theories of information led to the destruction of the moral authority of the United States. Following growing concerns voiced by key figures in the US military, some attempts were launched to rein in the abuse of propaganda, but it is already too late – the damage to America’s standing in the world has been done. Worse, the destruction of American credibility is the direct result of the policies of the Bush-Cheney White House and their neoconservative administration. The mass surrender of the Fifty-first Division of the Iraqi Army. All these stories were uncorroborated at the time they were published, and they soon died due to lack of evidence, but the damage was done. Iraqis were demonized as perpetrators of war crimes, while the reports about the mass surrender of the Fifty-first Division misinformed Americans about the progress of the war. Today, the US military relies on information warfare campaigns to such a degree that it is perfectly correct to label the propaganda process: “the weaponization of information,” a term introduced by Daniel Schulman in his recent paper, Mind Games, published in the Columbia Journalism Review. In other words, the neocon wars use the full arsenal of US political campaigns where the arguments are predicated on the political objectives of the state – rather than the truth. In the warfare of the Bush Era, the tide of public opinion is now perceived as more important than the tide of conflict on the field of battle. 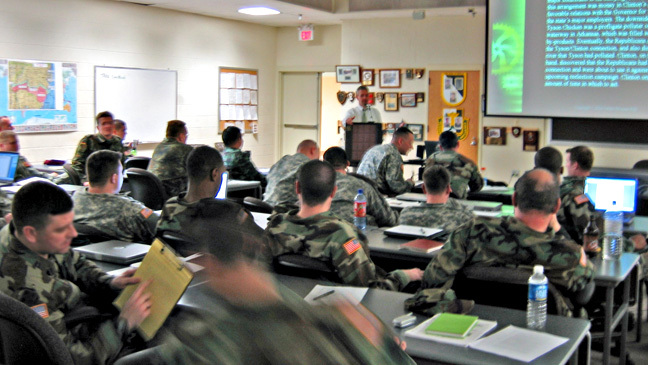 In military classrooms, officers are indoctrinated in the theories and practices of perception management and psychological operations training them to deploy the full spectrum of information warfare against enemies on the battlefields as well as political opponents of the Bush-Cheney administration. Waging psychological warfare, American military personnel engage in the premeditated dissemination of propaganda, outright lying and deliberate deceptions channeled through the mainstream press and media. Donald Rumsfeld authorized the creation of the Office of Strategic Influence empowered with the mission to design and disseminate information operations to undermine our enemies. 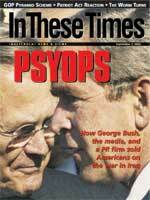 When Rumsfeld’s propaganda ploy was discovered, the scandal boomeranged and destroyed the Pentagon’s credibility. Rumsfeld disbanded the office, but he announced that its operations had merely gone underground where they were concealed in a clandestine cluster of military agencies – some with names as overtly Orwellian as the Office of Countermisinformation, a peculiar unit that is situated in the State Department to defend the government against charges of malfeasance, dereliction and deceit. The US government routinely outsources its increasingly aggressive information war to mercenary corporate executives dedicated to manipulating the perception of political events for their own personal profit. Scientific Applications International Corporation (SAIC) prides itself in providing the federal government with programs designed to produce “information dominance.” SAIC provides contractors to the federal government’s propaganda operations. These “experts” in fields as diverse as Islamic studies, the Middle East and psychological warfare come at a very high cost to the US taxpayer. SAIC is listed on the Fortune 500 corporations as a fabulously successful research and engineering firm. Their stock-in-trade is manufacturing propaganda and conducting psychological warfare. In a time such as ours when the credibility of the federal government has never been lower and is clearly sinking at a frightening rate, SAIC has no basis for its tumescent pride since they have profited from operations that have undermined America’s standing in the world. Neither is it comforting to note that Rumsfeld’s successor at the Pentagon, Robert Gates, was a board member of SAIC. Served as the PR guru and media adviser – read Director of Propaganda – for the INC. 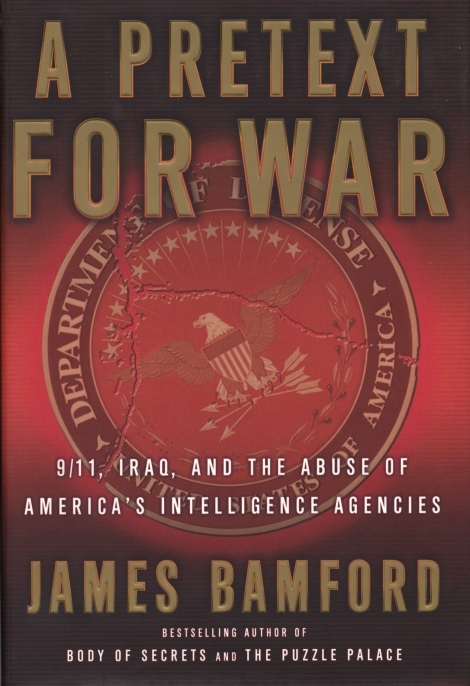 According to Bamford, the Rendon Group raked in $100 million in profits from its lucrative contracts to destroy the credibility of Saddam Hussein via a massive bombardment of propaganda, psychological warfare and perception management. John Rendon and SAIC design strategies for information warfare on a grand scale and they charge a grand price that is ultimately paid by US taxpayers who are all but totally oblivious to the fact that they are subsidizing psychological warfare that frequently boomerangs and misinforms themselves. Today, key elements in the mainstream press are becoming aware of the depth of deliberate deception America’s information warriors have caused by their cynical manipulation of the major news agencies. The American people are well aware of the situation as well. This phenomenon is merely one reason for the mushrooming distrust of the major media that is driving the flight of the public to the internet in search of a broader spectrum and a better quality of unadulterated facts, information and analysis. While the Bush government and the Pentagon view the press and the mainstream media as mere weapons in the war of words they wage to achieve their political and military objectives, the public are voting with their fingers as they turn increasingly to the world wide web. Sadly, the perception manipulators know that the credibility of the mainstream media is on the decline, and they are now deploying legions of cyber warriors to distort the flow of information to re-enforce their neoconservative political agendas. The war of words is literally an eternal war – a perpetual war that can only lead to an exponential crescendo of perpetual propaganda.